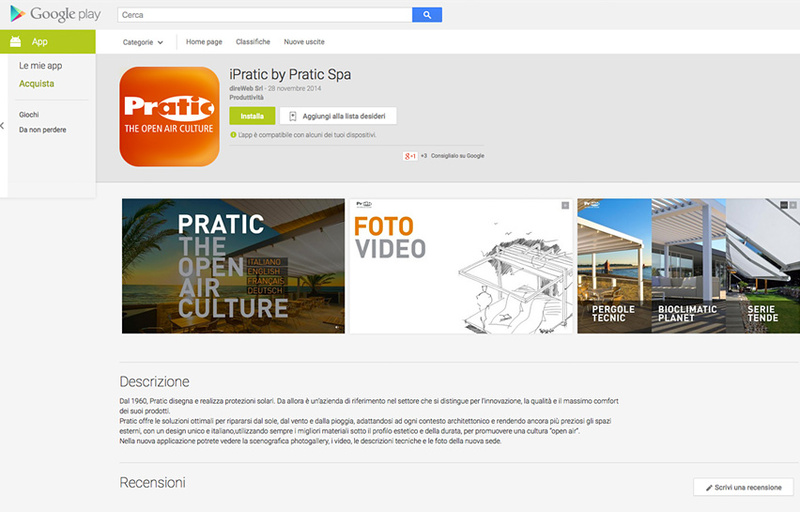 iPratic App is now available for Android devices! This App, winner of Italy Web Award as the best App of the year, is already available for download from Apple Store since 2012. It has a stunning photogallery, videos and technical descriptions about Pratic products and a section dedicated to pictures of the new company headquarters.